For one weekend each year, a panoply of the beautiful and bizarre overtakes the Shepard Garden and Art Center in McKinley Park. Spikes and leathery skin mingle with delicate flowers and flowing hair; bold, colorful stripes stand out against desiccated, parchment-like hides; sawtoothed ridges rise from fleshy limbs. Brought by careful guardians, these odd specimens will nearly overtake the Center and attached courtyard, creating a riot of biodiversity that could never take place in nature. The Sacramento Cactus and Succulent Society is in the house. This year marks the 50th anniversary of Sacramento’s Cactus and Succulent Society (SCSS), whose stunning annual show and sale has long been a must-see for gardeners, botany enthusiasts and people interested in low-water landscaping options. The Garden and Art Center has been home to the club since their very first meeting, March 28, 1960. Pearl Lemkuil has been there from the beginning. At age 90, she is the club’s last remaining charter member. 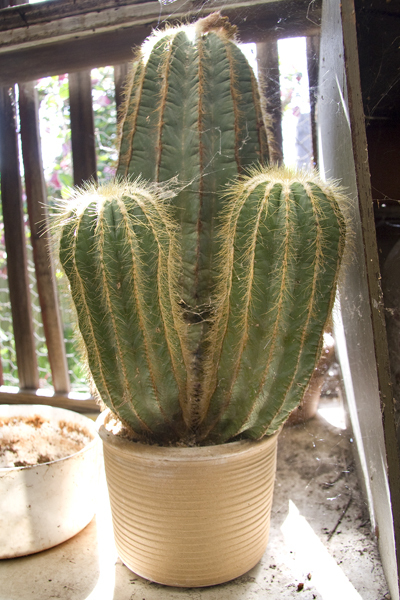 Lemkuil began collecting cactus in 1942. Her sweetheart had gone into the service, but was soon sent home with a bad heart. “[T]hey told him they couldn’t have him in there so he’d have to go home… and so he came back with a pot with a little plant in it… He gave it to me and I thought, ‘Gee, this is weird. I wonder what this thing is?’…I found out it was a cactus.” Fascinated, Lemkuil soon became the only cactus collector in Prunegar, Iowa. Lemkuil and her husband moved to Sacramento in 1955. 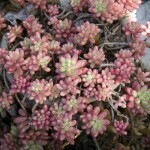 Though cactus and succulents are common in Sacramento today, they were quite unusual in the mid fifties. “There wasn’t much around here,” she says. Encouraged by a local plant vendor whose wares included some cactus and succulents, Lemkuil and a small group of friends formed the Cactus and Succulent Society in 1960. Fifty years later the club boasts around one hundred enthusiastic members. One of the club’s most active members is past president Marilynn Vilas who joined in 1978. Vilas, a botanist, had been interested in cactus and succulents since high school, but it was a visit to the SCSS annual show that put her over the top. “One day a friend of mine [and I] went into this show and, BAM! I was absolutely hooked. I took one look at all those plants and said, ‘this is for me.’” She signed up on the spot and has exhibited plants at the show every year since. Asked what drew her to cactus and succulents, Vilas points to their diversity and ability to thrive in some of the harshest environments on earth. 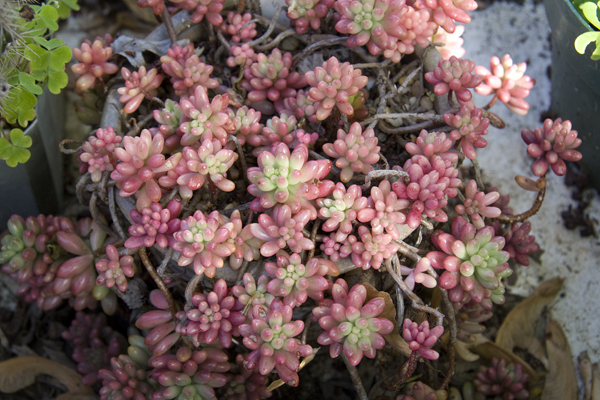 While cactus are found almost entirely in the Americas, succulents come from nearly every part of the planet. Though the annual show and sale is the club’s highest-visibility event, SCSS also holds monthly meetings and sponsors frequent field trips to gardens, plant shows, and cactus and succulent sales. Meetings feature ‘mini-shows’ where members present their best specimens and usually include a speaker or presentation. Meetings are held at the Garden and Art Center at 7PM on the fourth Monday of each month, and anyone who is interested is welcome to attend. That SCSS welcomes newcomers is evidenced by the position of Keith Taylor, who jokes about his quick ascendancy. “I joined in 2008 to be able to show my plants. Now 2010 I’m president.” Taylor became interested in succulents in 1990 after an injury left him unable to work. A trip to a botanical garden led to a fascination with succulents, “and my fascination quickly turned to obsession.” Taylor estimates that his collection numbers close to 1000 plants, some of which will be displayed at the May show. The SCSS 50th Anniversary Show and Sale will be held May 1-2, 9AM – 4PM at the Shepard Garden & Art Center, 3330 McKinley Blvd. This event is free and open to the public. Superb! Thank you so much for volunteering to do this. The magazine will go into my and the club’s permanent files. this club are honored and appreciated for all of the time and talent they’ve given over so many years. Members of SCSS are grateful to you for this wonderful article about our club, some of our notable members and the special emphasis on the Golden Anniversary of our annual Cactus and Succulent Show at McKinley Garden and Art Center. We know that your informative story will attract many folks to this outstanding garden event. Thank you! Sadly Pearl Lemkuil passed away recently. 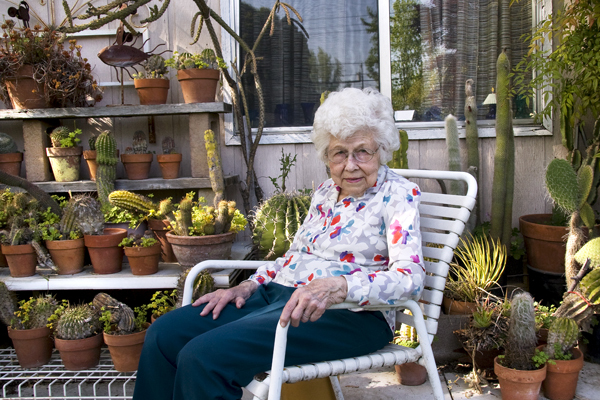 She was a founding member of the Carmichael Cactus and Succulent Society and will be greatly missed.